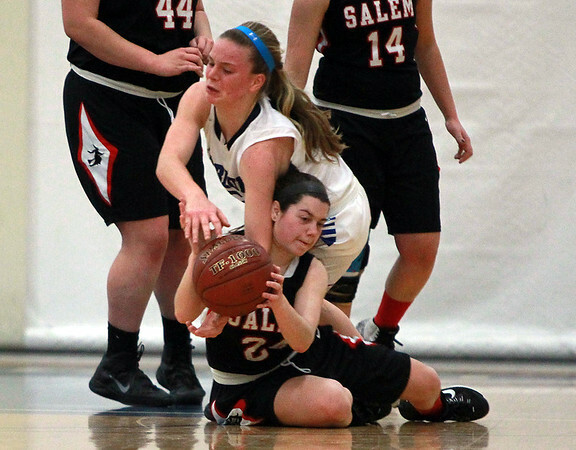 Salem junior Nicole Sadoway, bottom, and Swampscott forward Hannah Leahy, top, battle for a loose ball on Tuesday evening. DAVID LE/Staff photo. 1/20/15.